After years of teaching pre-natal yoga I’m well aware of the fact that birth trauma is very, very real for many women. Unfortunately, in the chaos of the first year with a baby, how we feel about our birth experience is often pushed to the side to make space for everything that new motherhood entails. My first two birth were very straightforward. My first was long (as to be expected) and ended in a trouble-free delivery. My second was one of those not-so-painful water births you often see on social media (rather blissful). But my third? Humbling, to say the least. After five days of pre-labour and a growing sense of something just wasn’t right, my waters broke, labour failed to establish and 24 hours later I was transferred from a low-risk birth centre to the maternity ward in my local hospital where I was hooked up to a drip and induced. What followed was frightening and while my baby was born healthy, the journey from womb to world was challenging, scary and very much an emergency. And now here I am, pregnant with baby number four and well aware of the fact that when it comes to birth, much is really is unknown. Subsequently, all my fear about birth has resurfaced as I prepare to welcome another baby into the family. I’ve been very conscious of my feelings towards birth this time and I’ve been intent on letting go of my fear and worry so I can move into this experience with no expectations. 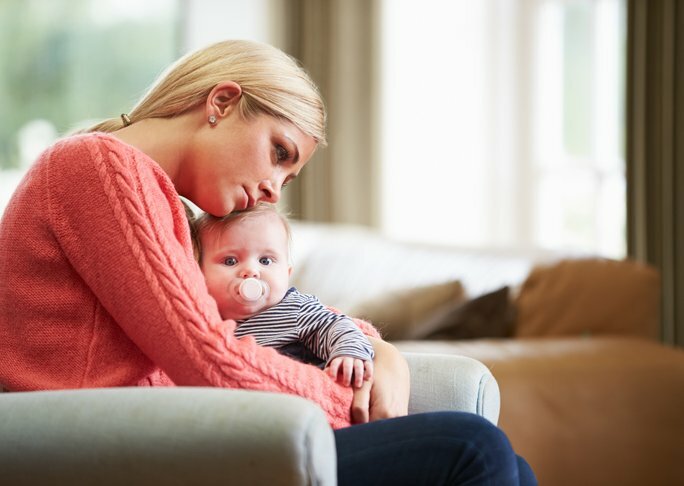 If you feel like your birth was traumatic, here are a few steps you can take to ensure you can grieve, let go and heal. Chat to your caregiver about how you’re feeling. Either straight after birth, at your six-week check-up or when you’re pregnant again and seeing your OB or midwife for the first time. It’s absolutely essential to bring your feelings out in the open and seek the advice and guidance of a professional. They may suggest a few sessions with a birth psychologist and if that’s the case, do it! Bringing all your fear, worry, tension, hurt and grief out into the open can be incredibly cathartic and is one step towards letting go. Surround yourself with women who understand. In real life or online, support in the form of a non-judgmental ear can really help you heal. Fellow mums understand the enormity of birth and just how almighty the experience can be. When you find the right women to chat with, a weekly coffee date can be a great form of therapy as can an open and honest online forum. Get out of your head and into your body. Yoga is such a powerful way to work through mental, emotional and physical wounds and while it can bring lots of stuff to the surface, it can also help you feel strong, capable and calm. Find a yoga teacher who has experience with pregnant women and explain your situation. There have been many times when women have attended my pregnancy classes when they weren’t even pregnant. Why were they there? To immerse themselves in the language of birth and shift their negative thoughts to positive ones. Alternatively, walking, swimming, group fitness classes or regular gym sessions can work in the same way; releasing endorphins, letting go of tension and boosting your self confidence. Release your fear. If you’re pregnant again and you want to work through your trauma, there are some great online resources to assist you. Mind the Bump is a fantastic free app with many visualisations and meditations to use throughout your entire pregnancy. Hypnobirthing Australia also has a Fear Release download that can be used in preparation for a fear-free birth.